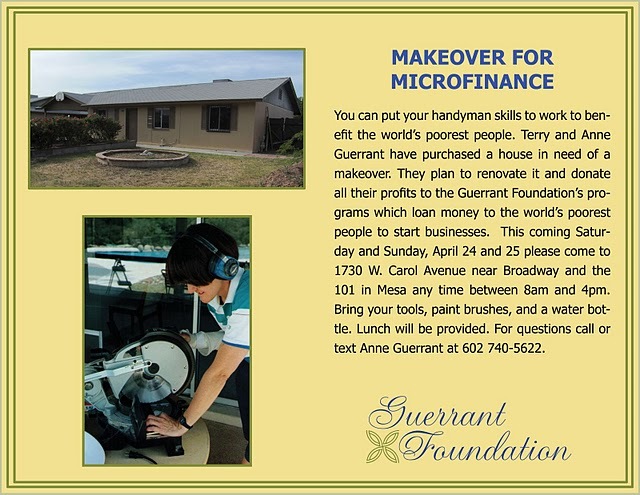 The Guerrant Foundation is a wonderful organization, run locally by the Guerrant family, that helps provide microfinancing around the globe to those who are most in need. Their philosophy encourages people to build their communities, their self-worth, and their families by giving people a “hand-up” to get themselves of poverty rather than a hand out. I am so moved by their work so if you are available this weekend and are the DIY sort I hope you will help them out. Can’t make it to the event? You can donate online. CLICK HERE.